This innovation could be straight out of the Avengers series! 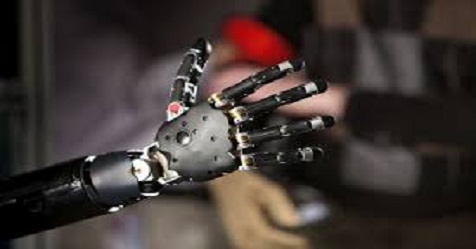 Its the world's first medically certified, 3-D printed bionic hand that could change the life of disabled people. Developed by Open Bionics, a United Kingdom-based startup, the Hero Arm has a multi grip hand with four motors that control individual fingers and move the thumb. The Hero Arm picks up signals from a user's muscles. It has sensors on the inside of the socket, which sit on top of the muscles. These detect a small voltage when the muscles are flexed and the hand will move in response. The technology is low cost and has been tested to great success. The first stage is that a prosthetist gets a model of the arm, which could be physical or digital from a 3-D scan. This is fed into software algorithms to create the customized Hero Arm for each person. They export the files for the 3-D printers. These are then printed on 3-D and assembled into the Hero Arm. The best thing is that the look and style of the arm can be changed. There is even a customizer so that users can design their own arm and change the colors. This means you have choice over the way your prosthesis looks.